Today I would like to present platoon of Senegalese Tirailleurs, my interwar French third platoon, supporting last month presented French Foreign Legion. One of the most versatile groups of figures. From 1916 to 1964. From French Guiana and the Caribbean, through France 1917, 1940, 1944; Belgium, Norway, Morocco, Algeria, Sahara, Egypt, Libya, Chad, Congo, Italy, Corsica, Dardanelles, Syria (uprisings and actions against the British and Free France in 1941 ), Djibouti, Madagascar ( against the British in 1942 and the Malgas uprising), India (Pondicherry), entire Indochina, Franco-Thai war , China (French concession in Shanghai), and ending with the islands of Polynesia (pulp with cannibals, such as " Tales of the Golden Monkey"). Excellent research, conversions, and painting. I appreciated the close-ups, the list of source figures, and the painting guide on your blog. Thanks for sharing them with us! 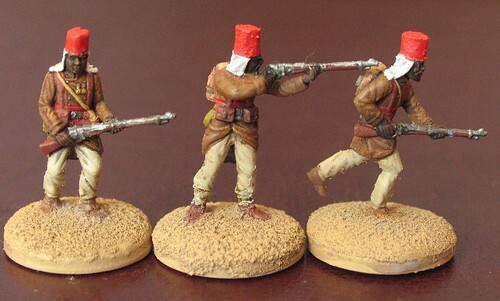 It's very nice to see these colonial troops represented. These look great! Very good conversions and excellent painting. Very nice and very different. The conflict areas if memory serves me right were very interesting and full of characters. Thanks guys. Glad You like them. I like your conversions and the theme. Can you give us some more informations with which figures did you worked? 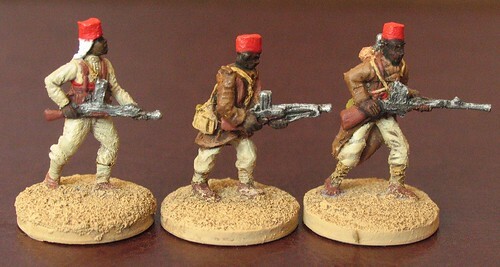 I know that the french producer Retrokit has made also some senegalese figures - and I made also some conversions with WW! 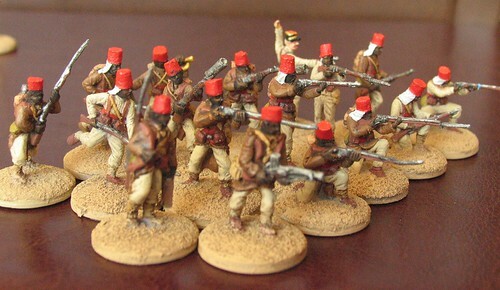 french soldiers to get some senegalese troops for my diorama Verdun. sansovino wrote: I like your conversions and the theme. Can you give us some more informations with which figures did you worked? .